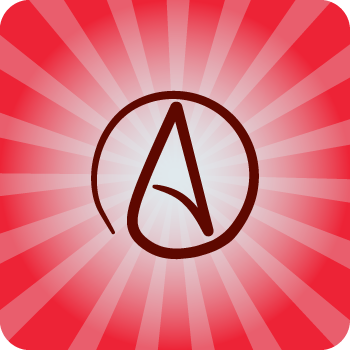 Atheism is sometimes refereed to as the absence of faith or at least a belief that there are no deities. Out of all faiths, or non-faiths, Atheists appear to be more vocal about what they don't believe in over those who do believe in a higher power. These Atheistic design templates can be customized to suite your own special needs. Change the design colors, text and images or upload your own anarchy graphics. Though everyone here at StickyLife may or may not personally support messages found here in these atheistic design templates we do however respect and honor the freedom of speech. It is part of our mission to help protect your self expression and rights to free speech. There is however one message that we will not tolerate and retain the right to refuse orders for - hate. Orders that help promote the message of hate we will cancel the order and provide a full refund. We simply have no tolerance for messages of hate.